Read on to check out the photos and more info on each figure. At Summer Wonder Festival 2016, video game fans were treated to some new Figma figures and announcements. 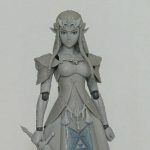 Good smile company was displaying their new Legend of Zelda: Twilight Princess – Zelda and Link figures. they also had a card announcing a Bloodborne Hunter Figma release. The photos come courtesy of AmiAmi. You can see the pics after the jump. 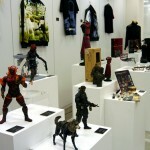 The Figma Blog has posted up photos of the upcoming Metroid: Other M – Zero Suit Samus Aran Figma. The roughly 6″ tall figure will have over 20 points of articulation. The figure will feature metallic paint for the blue suit, giving the Samus figure a shimmering look. 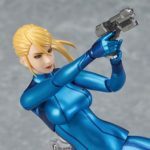 Zero Suit Samus will include a pistol, a holster with pistol handle, a helmet, and a swappable portrait which features the younger Samus Aran. From the looks of the post, pre-orders should go live by June 14th. We’ll share more photos and info as it becomes available. See the new images after the jump. 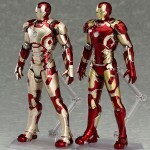 Good Smile Company has released photos and info for two upcoming Marvel Cinematic Universe Iron Man Figures. They have revealed Figma versions of Iron Man Mark 42 and Iron Man Mark 43. Each figure features over 20 points of articulation and will stand about 6.5″ tall. The figures will include interchangeable hands, effects pieces and an articulated figure stand. They’re scheduled for release in December. 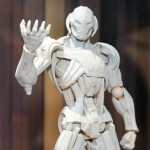 The Figma Iron Man figures are priced at 8,148 Yen (about $73 USD). You can see the photos by reading on. New photos and info for the upcoming Figma Virtua Fighter Figures has been released. The product pages have been posted by Good Smile Company, and pre-orders are going live at various online retailers. The figures are due out in September. Each figure stand about 6″ tall and will have game accurate articulated bodies. They have a MSRP of 4,167 Yen (about $35) each. It has also been revealed that Player 2 color versions will be revealed at a later time. 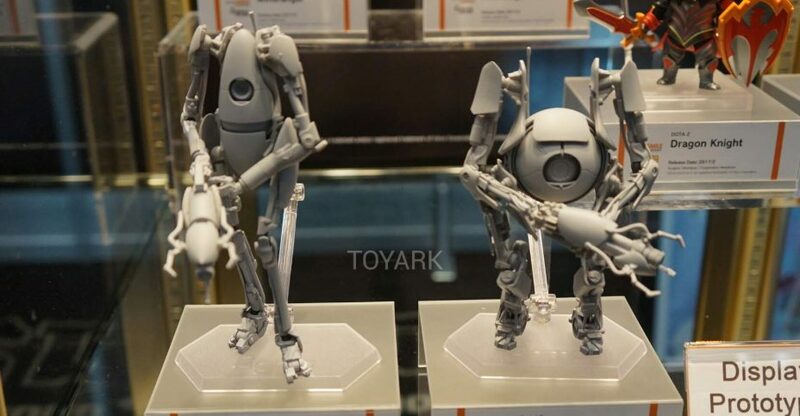 You can pre-order them from Toyark sponsor HobbyLink Japan. they have them priced lower than the suggested retail price at $33.42 each. You can see the images and all of the info by reading on. 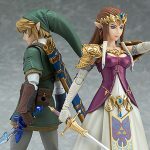 Check out these pending-approval Figma figures (from Max Factory) of Link from the Legend of Zelda game series (specifically A Link Between Worlds) and Yami Yugi from Yu-Gi-Oh! Duel Masters. Also shown is a statue of Link (specifically from Skyward Sword)! These look pretty slick – hopefully they see a release! 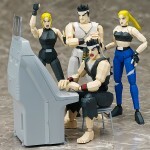 The photos come courtesy of the Amiami Blog. Read o nto check them out. 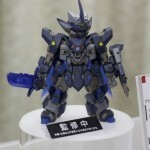 Max Factory showed off 2 of their upcoming Tenkai Knights model kits at the Spring 2015 Miyazawa Models Exhibition. These are more accurate and feature more articulation than their Spin Master building-block counterparts. Both are due out later this year. Images mirrored here are from Dengeki Hobby, read on to check them out!